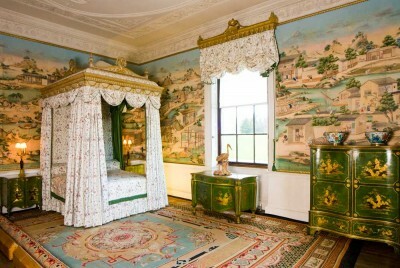 This was Edwin Lascelles’ bedroom with ceiling and frieze were designed by Robert Adam. 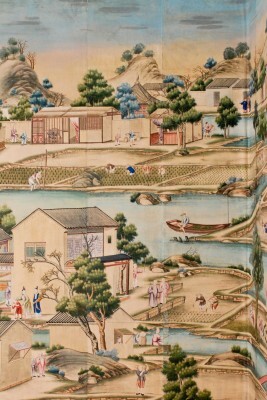 The main feature of this room is the Chinese wallpaper. 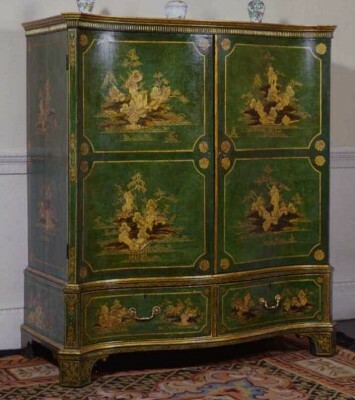 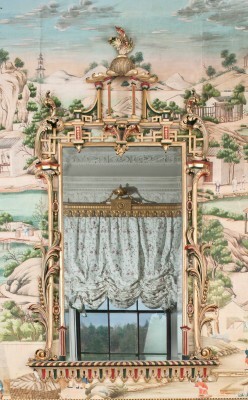 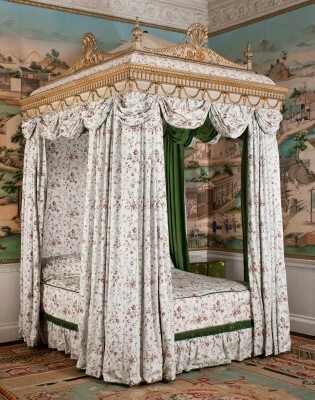 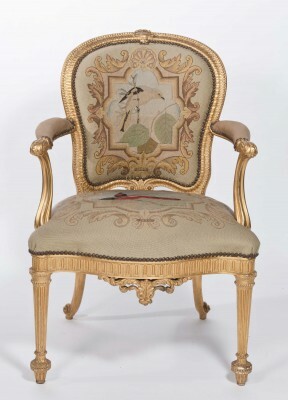 It was hung by Chippendale’s men in the Chintz Bedroom (on the 1st floor and not open to the public) in 1769. 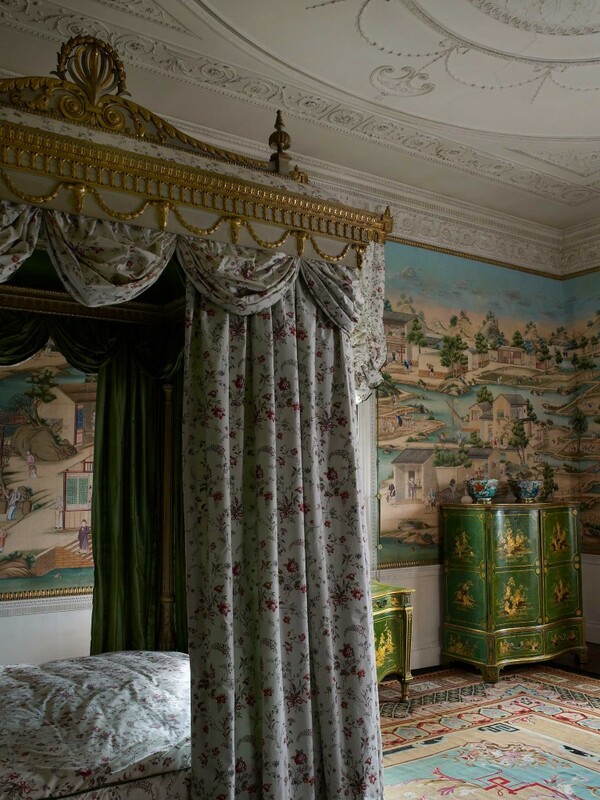 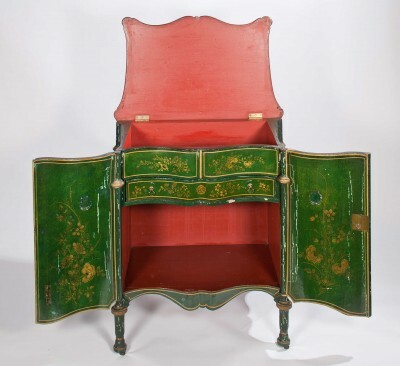 But later generations did not share the 18th century love for all things Chinese, so sometime in the first part of the 19th century, it was cut from the walls, rolled up in linen and put away in an outbuilding, where it lay for nearly 200 years. 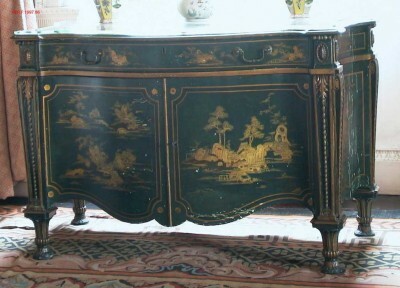 That it survived for so long is remarkable; that it survived in near perfect condition is astonishing.